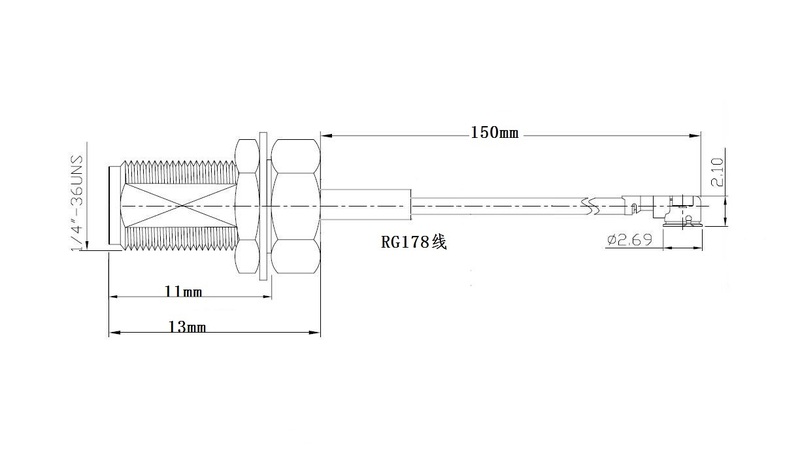 This cable is RG178 and is 15cm (5.9") long not including the RP-SMA connector. It has a panel-mount RP-SMA connector on the end, often used for wifi routers and antennas. GPS and cellular connections often use SMA. Check the antenna you want to connect, and the close up image above to verify if you need RP-SMA or SMA as they are not compatible.